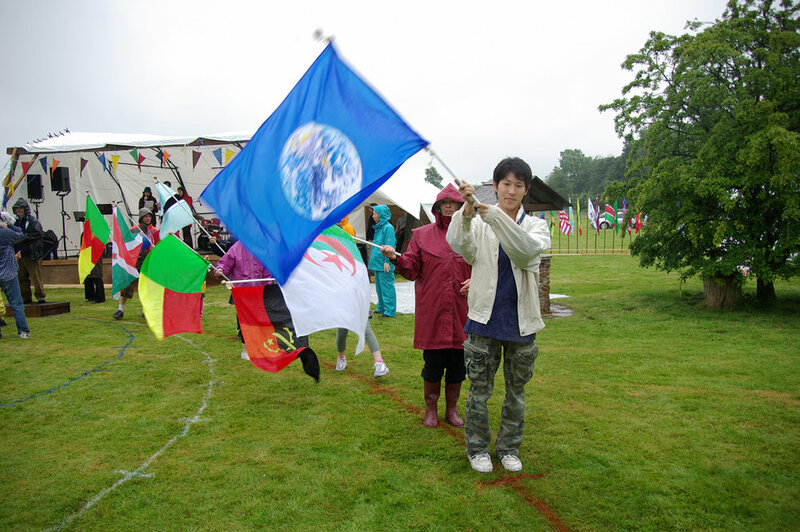 The World Peace Flag Ceremony was first organised in Japan in 1983 by the Chairperson of May Peace Prevail on Earth International, Masami Saionji. In 1986, The first International World Peace Flag Ceremony was held in the city of Los Angeles, introducing this moving ceremony to an audience outside Japan. Since then, the ceremony has been held on every continent and in every major city throughout the world. What is a flag ceremony? 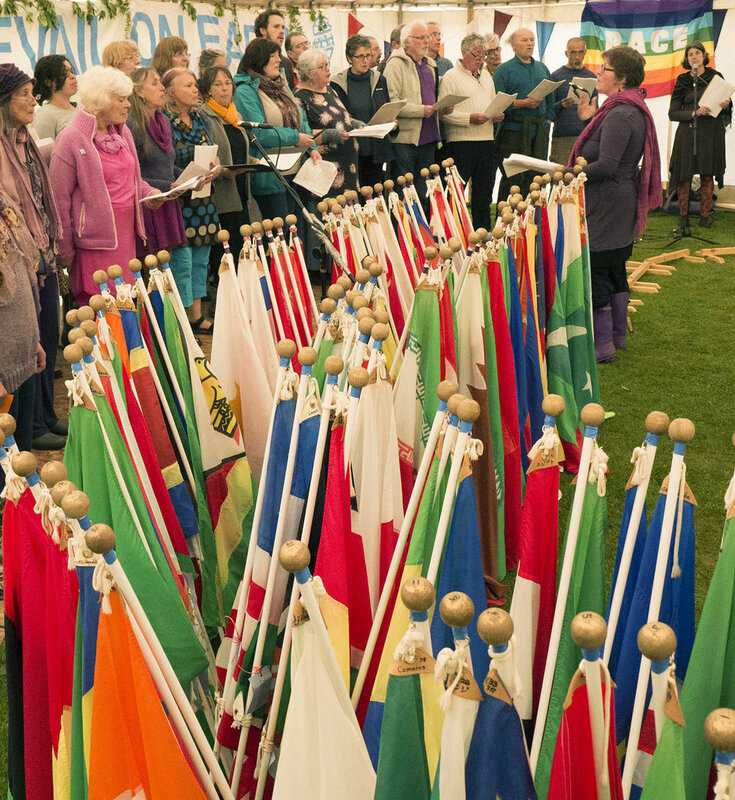 The World Peace Flag Ceremony is a celebration of all the countries of the world, through the symbolism of their flags. Using the power of our thoughts, words and actions, will help to create a peaceful world for all. The ceremony rises above national, religious and political boundaries, giving expression for “peace and harmony”, which lies at the core of every human heart. 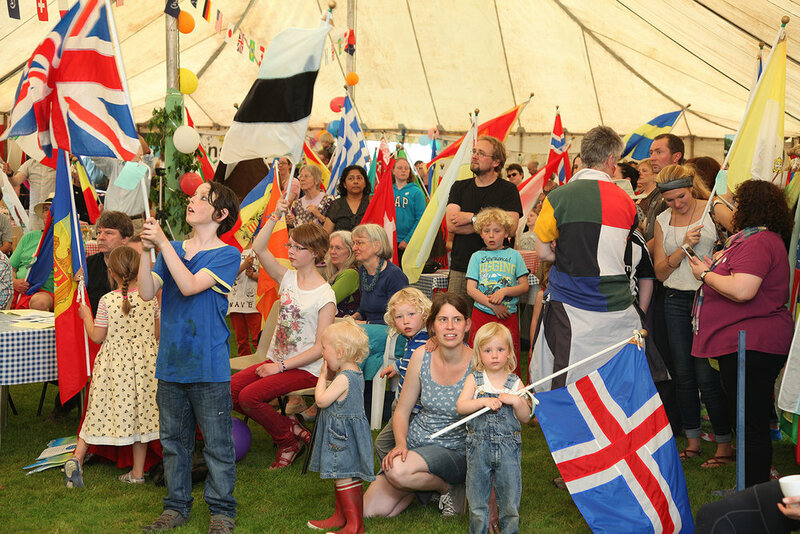 Since 1998, we have held a World Peace Flag Ceremony at Allanton every year. Where are flag ceremonies held? 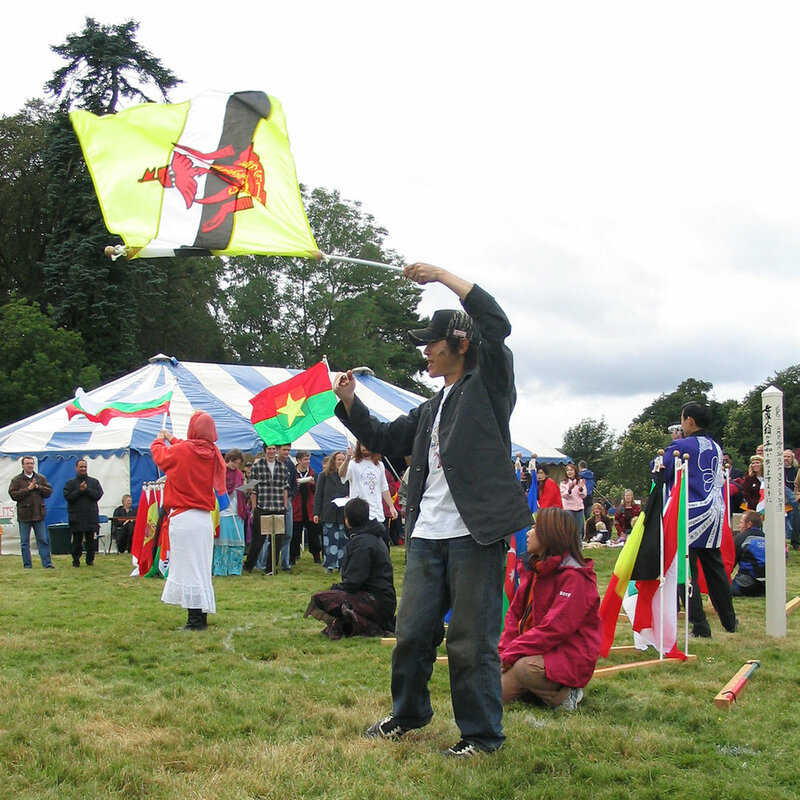 Flag Ceremonies can be held anywhere people gather with the purpose of aspiring towards a peaceful world. They have been held as part of big conferences and interfaith events, and at community events in schools, churches, mosques and gardens. 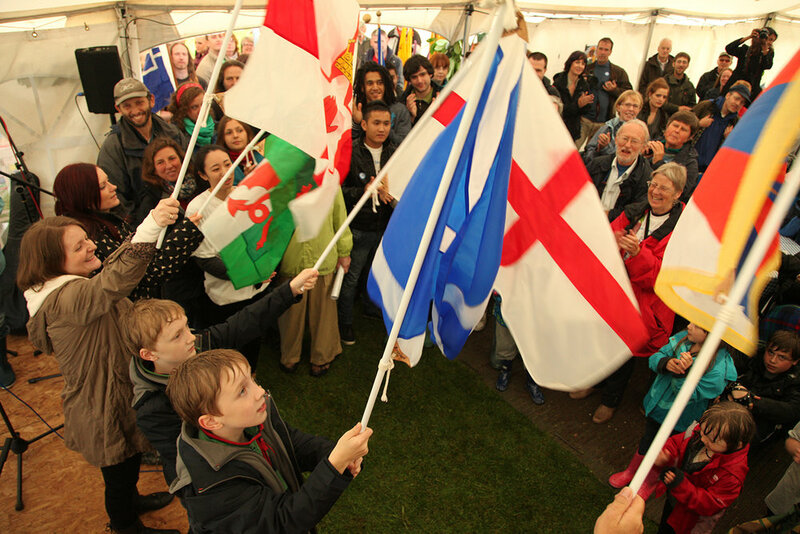 Flag Ceremonies can be held anywhere people gather with the purpose of aspiring towards a peaceful world. Choose a date and occasion which inspires you to bring people together, such as: International Day of Peace (September 21st), Earth Day, United Nations Day, Solstices, sacred holidays or any celebration or anniversary in your community. Our country lists include 194 nations and are divided into continents to help visualise the world they connect to. You may plan a simple ceremony at your home with friends and family. For a more formal ceremony, involving community members, you may choose to organise your gathering at a local park, school, club, church, mosque or public facility.